Our lives will come to an end one day. While we cannot control our lifespan, we can advise our loved ones well in advance on our farewell wishes (such as how we would like to be cared for when our last days are approaching). We are aware that Western world’s views on death and dying may be different from Chinese cultural beliefs: Chinese people often believe that we should provide treatment including life-prolonging procedures until the last breath as a symbol of filial piety. However, living with dignity and quality at the end of life is also important for one’s wellbeing and is something to be considered. This “My Farewell Wishes” booklet is designed to help you start a conversation with your family members and other healthcare providers about how you would like to be treated at the end of your life. It is also a way to help your family pay their last respects to you, and potentially avoid unnecessary arguments and guesswork. 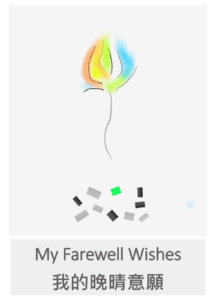 If you would like to obtain a copy of “My Farewell Wishes” booklet, please contact us on 03 9898 9575 or email enquiry@cccis.org.au , we will send a copy to you.